"BigLaw" is an industry nickname for the nation’s largest law firms. You've probably encountered it a time or two if you've been exploring the idea of entering law school. These are full-service firms that meet a number of criteria. They have their pros and cons, depending on what you're looking for in a career. BigLaw firms tend to employ a significant number of attorneys, usually 100 or more. These lawyers typically enjoy some of the best salaries in the industry, starting at well more than $160,000 or more annually. They're recruited from the top law schools in the country and often work in the firms' summer programs prior to graduation. BigLaw firms promote in lockstep – based on seniority – although this tradition is gradually changing. 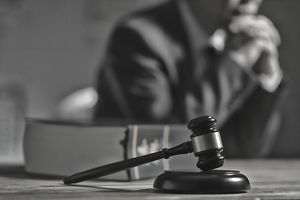 Raises are often lockstep as well, a percentage increase for each year spent with the firm, but this is also changing to correspond more with the number of an attorney's billed hours. BigLaw attorneys are expected to bill clients as many as 2,300 hours a year. These firms maintain a national or global presence, often with multiple offices across the country or around the world. They rank among the top-grossing law firms in the nation. Billing 2,300 hours a year does not work out to a 40-hour work week. It's more like a little over 44 hours a week if you do the math, but that's based on 52 weeks in a year – no vacations, no breaks. And any lawyer will tell you that billable hours are not equal to the number of hours you actually spend in court or at the office. The Yale Law School Career Development Office indicates that three billable hours works out to about four hours spent at the office. You'll probably work closer to 60 hours a week to achieve 2.300 billable hours a year. The upside is that in addition to paying well, such a job is very prestigious. It will look great on your resume if you decide at some point to move on. You'll learn a lot, not just about the law but about interpersonal power dynamics. You'll hone your time management skills, and you'll probably become a master at delegating. Some people are suited to this type of work environment. Here's a sampling of some firms that ride high at the top of the BigLaw firm's list. Kirkland & Ellis had 12 offices in 2016, the largest of them located in Chicago. The firm was founded in 1909, and it employs more than 1,600 attorneys. Almost three-quarters of them indicate that if they could go back to graduation day and start over, they'd work for the same firm. They have no regrets. Jones Day has 37 offices scattered around the world. It's been around since 1893, and it employed about 2,500 lawyers as of 2015. It reported $1,941 million in annual revenue in 2015. DLA Piper is a comparative youngster, having only been around since 2005, but it boasted revenues of $254.30 million in 2015. The largest of its 77 offices are located in New York, and the firm employs more than 3,700 attorneys. These and other firms tend to hire grads from Harvard, Columbia, Georgetown University and the like.